Ergonomic molded handle ensures comfortable use. 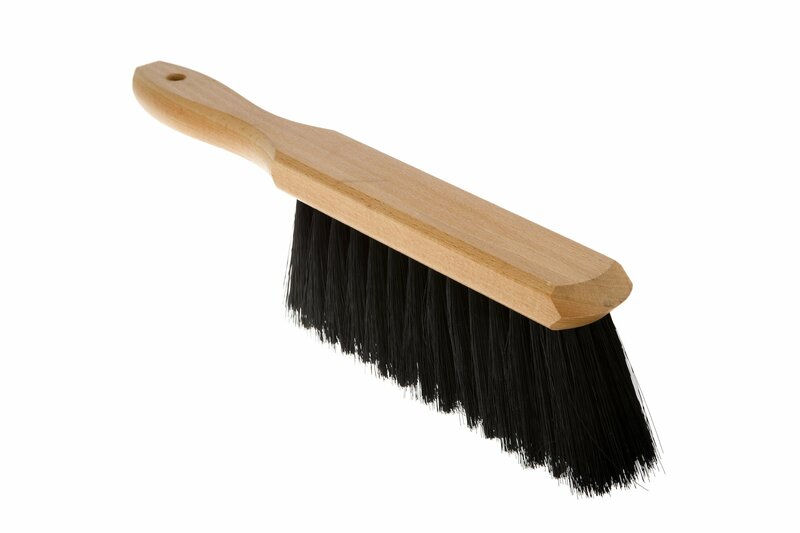 Thick, full, resilient bristles are ideal for pushing sawdust, glass and electronic parts debris. Lanyard hole enables hang-hook storage. Tampico bristles. Bristle Material: Tampico; Bristle Length: 2 1/2 “; Brush Length: 4 1/2”.